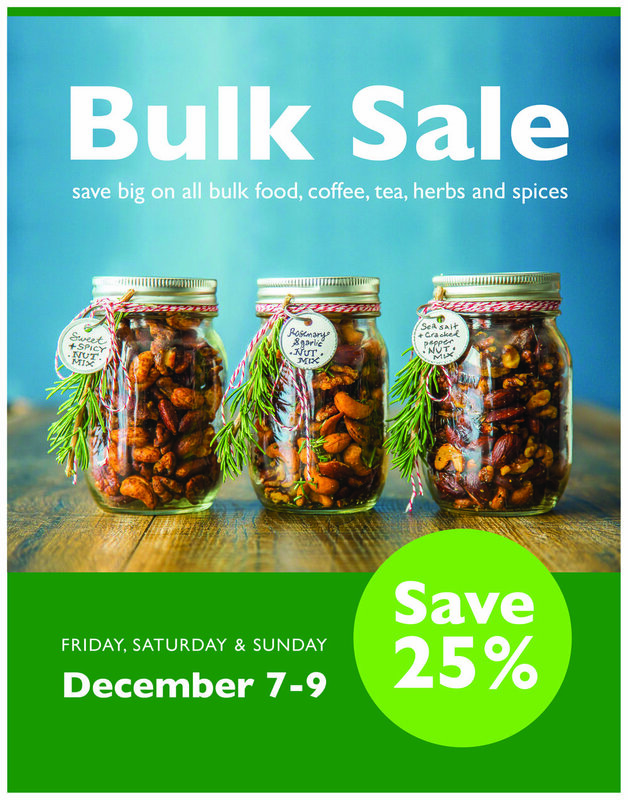 For three days only - and just in time for the holidays - save 25% on all bulk foods, coffee, tea, herbs and spices! You don't have to be a co-op owner to take advantage of this great sale. Drop in and stock up!